Ronald David Stricklin, 82, of Somerset, Kentucky, passed away Tuesday, November 6, 2018 at the Jean Waddle Care Center. He was born in Hazard, Kentucky on May 22, 1936, son of the late Raymond Delmas and Marie Nunnemaker Stricklin. In 1954 he graduated from Stanford High School and joined the Air Force in June of 1954. He returned to Somerset in 1963 where he began work with the United States Post Office. He worked with the Department of Child Welfare in Frankfort and after the opening of Oakwood he transferred there as the Vocational Director where he worked until his retirement in 1990. While being a parent and working full time he returned to college at the age of 31 and completed a Bachelor's Degree in 3 years at Centre College, and was a member of the Centre Golf Team. While at Oakwood he always treated patients with dignity and respect regardless of socioeconomic status. After his retirement he pursued other interests such as golfing with his buddies, fishing, spending time with friends, and enjoyed being being a part of the "Friday Night Dinner Club". He also coached Pulaski County High School boys golf. He was a member of First Baptist Church. 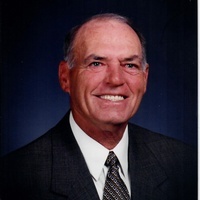 Ronald was a lifetime member of Eagles Nest Country Club, being an avid golfer he belonged to the Kentucky Golf Association and was a life master in Bridge points. He excelled in many things he focused on. He was a member of Berea Arts & Crafts, teaching himself how to do wood work and build musical instruments. He is survived by his wife of 52 years, Janet Vanhoosier Stricklin whom he married on May 22, 1966; two daughters, Vickie Loze & (Noel Davis) and Veronica Tinnew Douglas & (Rick); one brother, Charles Stricklin & (Anna); two sisters, Leah Dixon & (Larry) and Angie Kremer & (Kenneth); six grandchildren, Sunda Lewis & (Shane), David Britton "Britt" Loze & (Anna), Shellee Holt & (Cory), Mary Bracken & (Jeff), Katie Marie Hart and Emilee Bonds & (John); great-grandchildren, Blake Carroll, Grayson Fitzgerald, Kenna Loze, Collins Loze, Keegan David Loze, Kayla Norah Holt, Finlee Holt, Isiah Bracken, Abigail Grace Bracken, Ethan Dubiel and Mason Almond; a brother-in-law, Michael Simpson; and a special niece and nephew, Joy Simpson and Jonathon Simpson. He was preceded in death by his parents one brother, Robert Stricklin and two sisters-in-law, Joyce Stricklin and Louise Simpson. A celebration of life service will be held at 11 AM Friday, November 9, 2018 at Pulaski Funeral Home with Bro. David Pendley officiating. Visitation will be after 5 PM Thursday at Pulaski Funeral Home. In Honor of Ron the family requests expressions of sympathy take the form of donations to Somerset Community College.